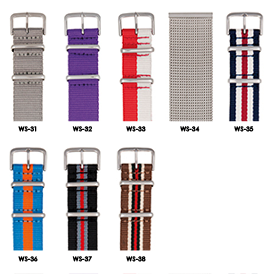 Stainless steel metal case with a variety of straps to choose from, scratch-resistant mineral glass crystal, 2 hands Japanese movement (PC20), colored metal dial with sunray finish and luminous hour and minute hands, raised hour markers, water resistant to 165 feet. 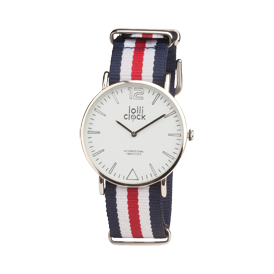 Packaged in gift box. 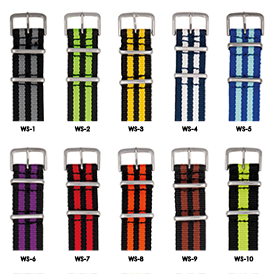 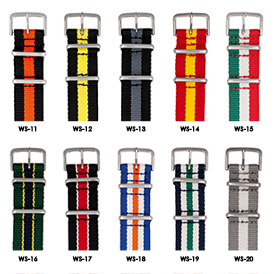 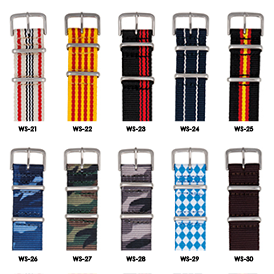 For metal strap WS-34, add $3.00 (C).